A line of trees, situated on the edge of a field, are the subject of this painting. 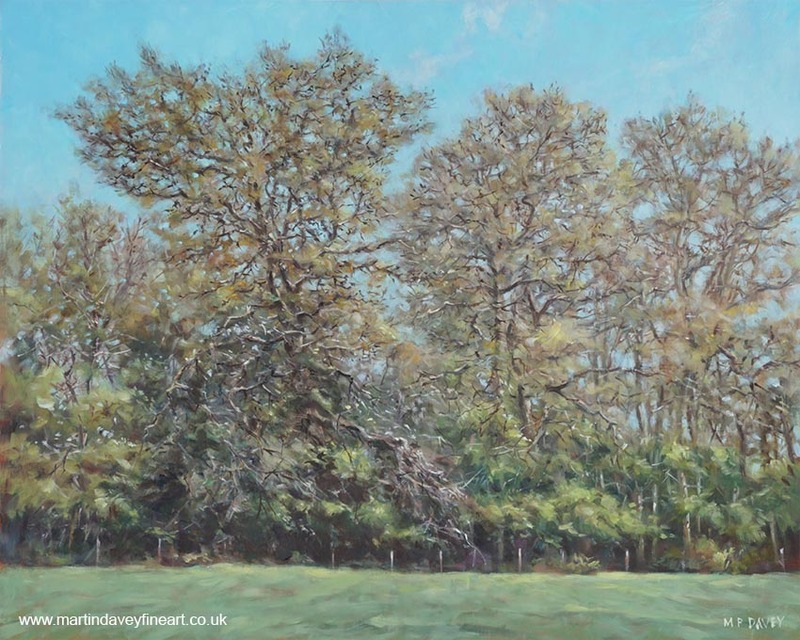 It is based on a photograph taken about 7 years previously in the countryside, on the outskirts of Southampton, Hampshire, during a sunny Autumn. The photo was taken largely with the intention of 'having a go' at painting trees. It took a number of years to get around to doing this as this painting was completed during September 2018. It was also done still as an experiment/ study in finding a good technique to painting trees, tending to try to avoid the idea of having to paint every leaf . The intention is for the painting to show details in a more 'impressionistic' way, rather than getting bogged down in details. Overall I think the experiment worked well. The painting is done in oils on a board sized at 20” x 16”.